If you are a home or business owner in Anoka, MN, spring can be the time to contact a tree care and tree removal service to take care of some dead branches on your trees. 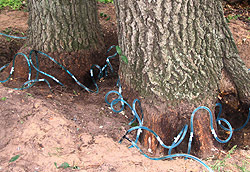 Pioneer Tree Service provides tree services following the American National Standards Institute standard for tree pruning. Also, ask us about options for planting new trees this spring. See more information on our tree planting page. Call Pioneer Tree Service today at 763-238-5254 to schedule an appointment for your Anoka, MN property. You can also request a tree service appointment by filling out the request form to the right.